It should be clear now that Chip Kelly wasn't the only reason the Ducks were successful. Oregon has been a national contender every year since his departure to Philadelphia and they haven't skipped a beat on offense. The main reason being that future first round pick and current Heisman candidate Marcus Mariota is at the helm again for Oregon. With crushing yet expected wins over South Dakota and Wyoming partnering with close wins over Washington St and Michigan St (it was close, don't let the score fool you. Mariota 4th quarter magic). The offense averages 43.6 points per game (9th in country) and looks potent out there. Arizona just dreams to spoil Oregon's chances. Last year in the second to last game of the year Arizona stomped the Ducks 42-16 in Tucson and officially ruined their national championship hopes. This year the Wildcats beat Oregon in Eugene in a huge upset that propelled Arizona to #10 in the AP Polls. And that really will sting for a while. But the Ducks have something this year they've never had before. A playoff, which means that they can lose a game and still win the national championship. The Pac-12 has to be the second best conference behind the SEC, there's no doubt in my mind over that. 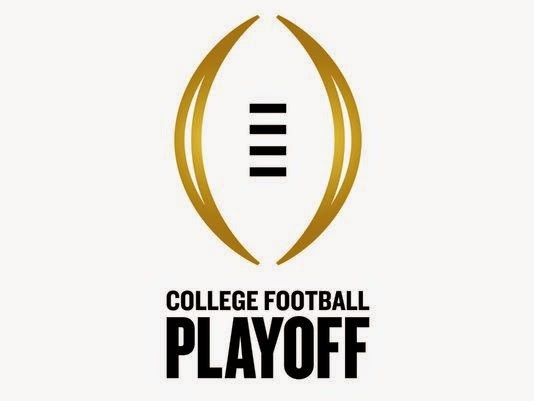 Oregon still has one of the best chances in the nation to make the playoff. Don't let that #12 before the big O fool you, Oregon is nasty. If they go in to UCLA and beat them like I think they will ( they won 42-14 last year, and UCLA had a better defense then) then they are back in the top 10. No path to the playoff is easy by any means. But having Stanford at home has got to be a relief for Oregon while SEC teams ahead of them plow through their conference schedules hoping to come out unscathed. By my predictions, I see Oregon winning all their games only struggling against Stanford. That will lead them to a rematch with Arizona or a high profile game against a UCLA or USC. If they win that game they will be going in to the post season at 11-1 with a hopeful redemption win against Arizona. You can't NOT put an 11-1 team in from the second best conference in to the inaugural 4 team playoff. So stay calm Ducks fans, you will have your shot at a title this year.